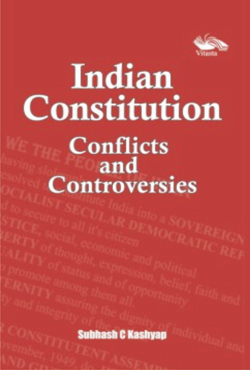 This book brings together for the first time a selection from the many contemporaneous notes and opinions on crucial issues involving interpretation of key concepts and provisions of the Constitution. These were written in response to the controversies raised or difficult conflict situations then prevailing. The author was in some ways privy to some of the conflicts and had something to do with their resolution within the constitutional framework. The views retain their relevance and appeal. This book would be useful for all those who are interested in understanding the mechanisms of the Constitution and its functioning. Subhash C Kashyap is a widely acknowledged and well-known constitutional expert. Earlier, he served as Secretary-General, Lok Sabha (Parliament of India).